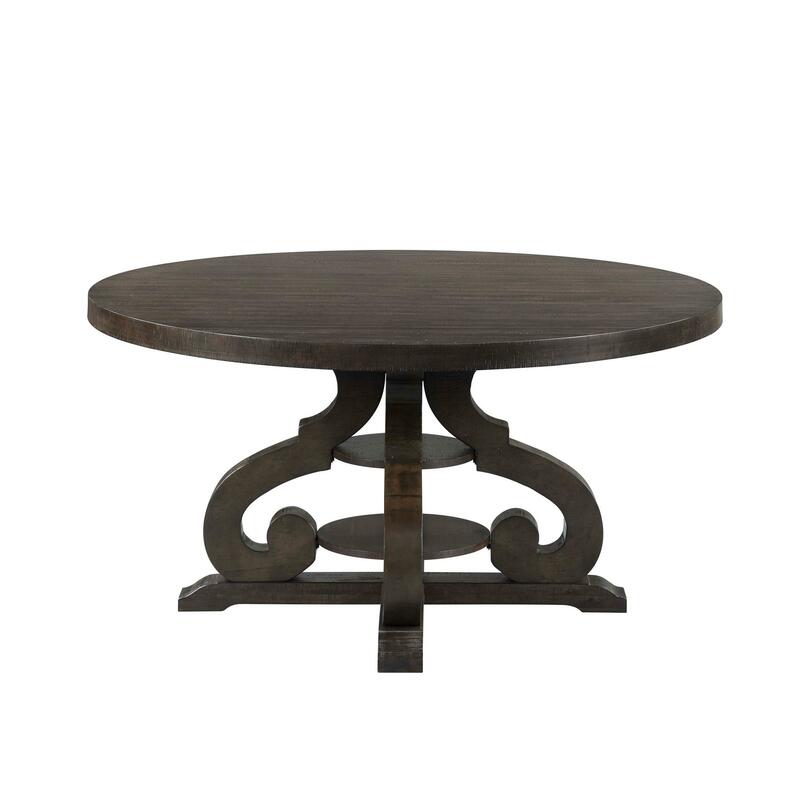 The Picket House Furnishings Stanford Round Dining Table is the perfect addition to your dining room! This round dining table features an intricate trestle base, a great update to a classic table. The table is finished in a Smokey walnut and features distressed markings throughout. This tables transitional design ensures it'll be a great fit for your home with any existing decor or furnishings you might have. The Stanford Round Dining Table can easily sit up to six guests, ideal for any last minute guests.